Over the next few Rainmaking Recommendations, we will be discussing the end of this year and how to develop a successful Rainmaking Plan for 2013. Want to hear a scary fact? There are only 54 days left to this year. We are coming down to the end of 2012. What did you do this year to grow your book of business? You need to conduct your own review of your activities. 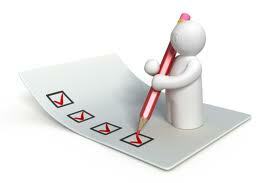 If you work in a firm, you may be required to have an “Attorney Review” to determine what you accomplished in 2012. If you are a solo practitioner, you should consider doing this exercise on your own. If you did ANY of the work necessary to build your book of business. Most attorneys have a tendency to get caught up in the day-to –day practice of law: Writing briefs or contract, researching the law, litigating cases, etc. This means they do not take the time to do the activities: blogging, social media, networking, public speaking, writing articles, meeting with referral sources, etc., that will lead to more business. Once you have figured out whether you did (or didn’t) do the work necessary and what worked (or didn’t) you can begin to plan for next year. And the first part of your plan just may be committing to do the things you need to do.